Divya Bharti : मासूम-सी सूरत – COME MAKE IN INDIA.SELL ANYWHERE AROUND THE WORLD. Previous post: The truth about earning in dollars! Divya loved to swim and engage in other activities at the Juhu Vile Parle Gymkhana Club in Mumbai along with her brother Kunal. 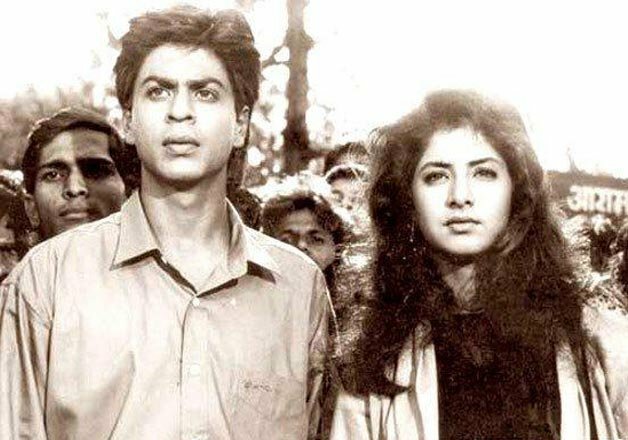 Her parents noticed her interest in acting at a young age since Bharti used to skip studies in order to imitate the dance moves of the most recent Bollywood films at that time, such as the 1983 hit film Himmatwala, starring Sridevi and one of Divya’s most favourite actors, Jeetendra. She occasionally visited the Siddhivinayak Temple and loved to eat their Modaks. Bharti met Sajid Nadiadwala through Govinda at the shooting of Shola Aur Shabnam. Soon both Bharti and Nadiadwala fell in love with each other. Bharti converted to Islam and adopted the name Sana, and married to Sajid Nadiadwala on 10 May 1992 at Mumbai in an Islamic wedding ceremony. On 5 April 1993 (eleven months after her marriage to Sajid Nadiadwala), around 11:45 PM, Bharti fell off the balcony of her five-story Tulsi apartment building and landed on the ground floor car park in Versova, Mumbai. Neighbours heard a loud “thud” and after investigating found Bharti unconscious and drenched in blood at the bottom of the building. In shock, the neighbours called the police and the ambulance. Bharti died in the ambulance before they could reach a hospital. Her cause of falling was never officially confirmed. Two of Bharti’s completed films Rang and Shatranj were released several months after her death and dedicated to her memory. Both the movies were box-office hits. At the time of her death, she had completed 80% of the filming of Laadla, and Sridevi was recast in her role. Footage of Divya’s performance in Laadla was seen in a television program in 1994. She was replaced in several other films she had signed such as Mohra, Kartavya, Vijaypath and Andolan. Her incomplete Telugu film Tholi Muddhu was partly completed by Indian actress Rambha, who slightly resembled Bharti and hence completed a few scenes of the movie for her. Several movies which she had signed were also subsequently shelved such as Parinaam with Akshay Kumar and Chaal pe Chaal with Jackie Shroff. It was also rumoured that she was the first choice for the role of Simran in Dilwale Dulhania Le Jayenge.